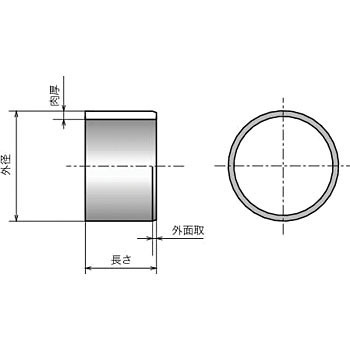 If the outer diameter is not press-fitted into the hole of the specified diameter, it will not become the proper inner diameter, and the shaft and backlash will occur. I think that should be specified clearly. Sorry that the sliding performance is GOOD. This review is about item#38675235. It is used for the bearing of the trolley wheel. I am very satisfied with the price of 1/3 of genuine products. I will continue to purchase it. This review is about item#38675594.